Do you use your outdoor space to serve your lifestyle? We often focus on the things that would add value to our property in terms of your monetary investment. But what could you add that would add value to your life? For more ideas on what kind of space would serve you best, take a look at sites like Pinterest or HGTV for some inspiration or view more images of our landscape designs here. Take note of which design ideas appeal to you most. What elements do you see that you’d like to incorporate? Try to view your outdoor space as an outdoor room. Is it a place where you’ll go to relax and reset? Then it will need to have features that you find relaxing. 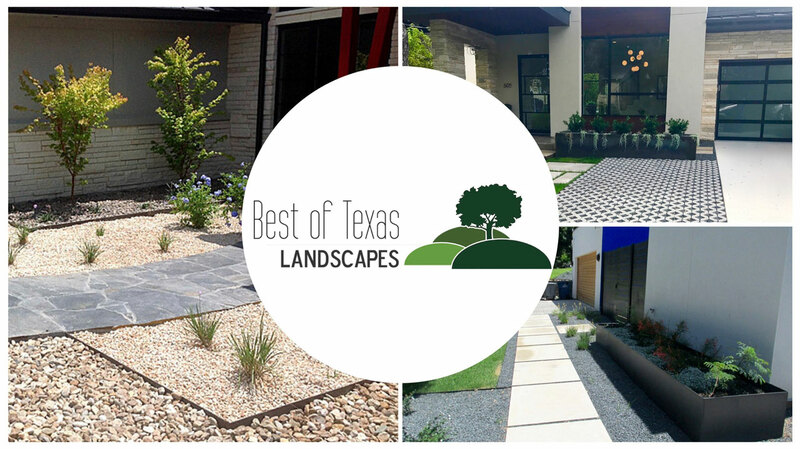 Contact your local design-build landscape professionals. They know what’s trending and can help you choose materials and plants that will fit your property and complement a more functional design for your outdoor lifestyle. Many outdoor elements can be both functional and aesthetically pleasing. Is it a patio or a place where you’ll practice yoga? Choosing the right element will enhance your experience and perception of your space. 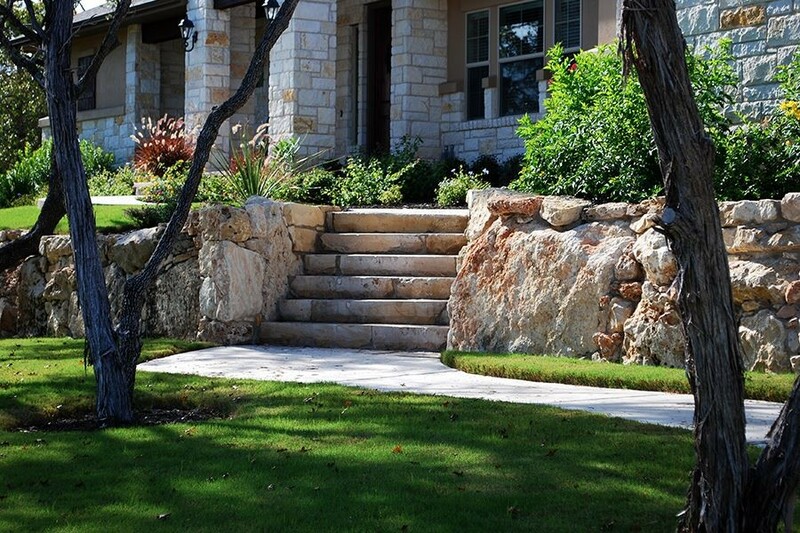 Forgo the boring cement sidewalk for something uniquely you with a rock patio, path, or bench. Water elements, such as trickling fountains or fish ponds, can be a wonderful way to add a calming ambiance to a meditation or tea garden. Small garden building like pergolas, canopies, or tree-lines can create a more private space within a larger landscape. Adding structures, both living and inanimate, can beautify and increase functionality at once. Your local design-build landscape professional will have the lowdown on accent lighting versus security lighting. Keep in mind your greatest source of lighting…the sun! Make sure to consider the position of the sun during the times of day you will most likely want to use your space. Using natural or constructed shades and canopies can help you make better use of an underutilized space. Use your senses to help you decide which plants will be most pleasing to you. Do you love to touch things? Look for plants with a lovely texture, such as the velvety lamb’s ears. If you’re someone who loves visual stimulation, you might prefer brightly colored flowers. Or, if you’re someone who loves fragrances, choose a range of scented plants that bloom at different times of the year. Some night-flowering plants are very fragrant and especially beautiful under moonlight. Even plant forms can inspire you. When choosing plants look at the shapes, patterns, lines, and colors to best complement your outdoor goals. Don’t forget your living landscape will require attention over time. Be sure to select plants and a landscape design that fits your personality and your design style. Some plants need a lot of time and attention. If that’s not your thing, find an alternative that thrives in your area with little maintenance. If eco-friendly options are very important to you, you may want to consider indigenous plants that also require less water. 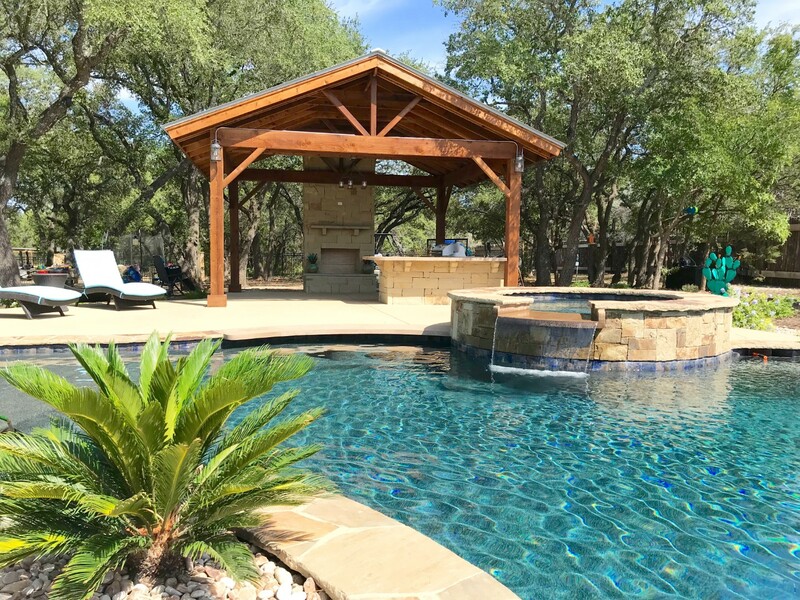 Whether you want to spruce up the area around your pool, add an outdoor kitchen or create the perfect backyard retreat, no matter the size of your space, there’s a solution for you. Many people find they don’t need more space or a different place, they just need to optimize the space they have to better serve their lifestyle. How much dead space is on your property? Dead space on your property is only costing you, not serving you. How could you make use of that space and let it better serve you? If you’re ready to create an outdoor space that your family can use and enjoy doing the things they love, contact us today to schedule your complimentary consultation. OUTDOOR COOKING AT ITS BEST! Outdoor kitchens are a great way to add a dynamic, friendly atmosphere to your space. Equip your backyard for entertaining and feeding friends and family! These types of elements are always a hit with visitors and homeowners love the flexibility of indoor/outdoor living. In addition, homeowners see an incredible return on their investment (especially in the Austin area) when it comes time to sell. A new case study reported by Quicken Loans shows area homeowners today can expect an ROI, or return on investment, of 100% to 200%. Not a bad investment in your property. When planning an outdoor kitchen, you’ll need to think about how many people you intend to accommodate, your entertaining needs, and your budget. At this point we recommend reaching out to a professional landscape designer to go over options for your next steps—determining the best location for your kitchen, the size requirements, design layout, countertop placement, materials (granite, concrete, aluminum, etc.) and then finally, the appliances you’ll need. Speaking with a trusted professional about your needs, your wants and your budget will get you off on the right track and will ensure your area turns out exactly how you envisioned it. Adding an outdoor kitchen sees an average ROI of 100 to 200 percent! Outdoor kitchens, once offering little more than a grill to fire up the burgers, have evolved into increasingly sophisticated and multi-featured spaces perfect for luxury entertaining. 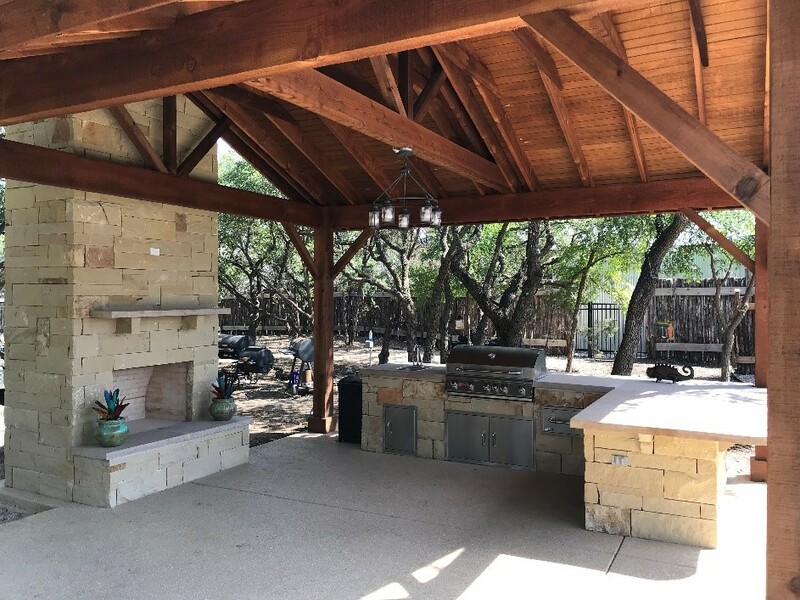 While outdoor entertaining has always been one of Central Texas’ favored casual pastimes, today’s outdoor kitchens offer so much more than just fresh air, sunshine and the delicious aroma of burgers cooking on the grill. The simple grill has been replaced with elaborate, multi-functional cooking appliances – including hybrid grills that cook with wood, charcoal or gas – plus warming drawers, griddles, pizza ovens and more. Often, the space may be rounded out with fire pits, bars and beverage centers, upscale cabinets and countertops, lighting, tile designs to rival the fanciest indoor backsplash murals, plus dishwashers, wine units and entertainment centers that include everything from big screen TVs to audio equipment. These spaces aren’t just used during summertime; many Central Texans use them year-round to expand their kitchen space and enjoy an extended array of cooking and entertaining options. Outdoor Kitchen designs are also completely customizable when it comes to size and location. Whether you envision a sprawling, scenic paradise or want a smaller functional space, today’s outdoor living features have homeowners re-envisioning what it means to enjoy cooking and dining in the great outdoors. Likewise, today’s designers are taking up the challenge of creating sophisticated spaces for a variety of budgets that are perfect for entertaining, escaping or just being one with nature. The overall goal for any outdoor kitchen is to create a highly functional space that makes outdoor cooking and entertaining effortless and enjoyable. 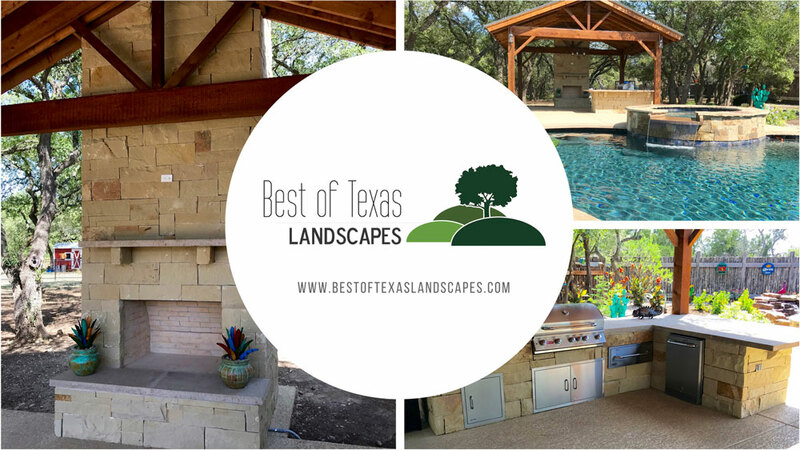 Not only do outdoor kitchens have one of the highest ROI’s for home renovations, most homeowners in the Austin area are able to use their outdoor space year-round. Not sure where to start or where your budget should be? 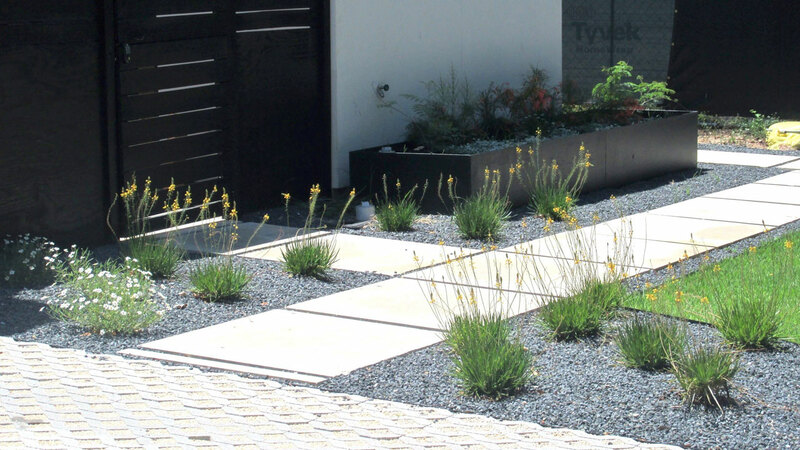 Try contacting your local landscape design-build professional for a good start. Now that you understand how to plan your space, let’s talk about what will complete it. A great source for getting ideas regarding your space, and what will work best in your location, is to consult with local landscape designer. Finding a local professional who has extensive experience in your area will provide you with the knowledge to make informed decisions regarding the plants that will inhabit your new space. Select plants according to their ability to thrive in your specific space. Many home owners choose from native varieties, and are pleasantly surprised by the number of options that are easily overlooked. There are many plants that perform well in our area that are not native, however its generally good to consult with a landscape design professional before planting. Native (indigenous) plants provide a beautiful, hardy, drought resistant and low-maintenance options because they have evolved over thousands of years in a particular region. They are suited to the geography, hydrology and climate of that area. However, even with native plants, it’s important to group them with plants that have similar needs in terms of sun, water and soil conditions. Typically, one of the most striking parts of your new space will be the hardscape. These are the walls, paths, patios and non-living elements in your outdoor space. Hardscapes make your space more functional and fill in bare spots to make it more aesthetically pleasing. Again, this is a great time to speak with a landscape designer. Seeing past projects as well as having a walkthrough can help you as well as the designer come up with the perfect vision for your space and your budget. Think, paths of gravel or stone, patios or decks, rock walls (like a retaining wall or decorative element), arbors or pergolas. Using native and drought-tolerant plants is always a great way to reduce your need for supplemental irrigation, but you still need an efficient way to irrigate. No matter how tolerant your plant selection is, they are going to need water. On average, 30 percent of your water bill will be dedicated to outdoor use. 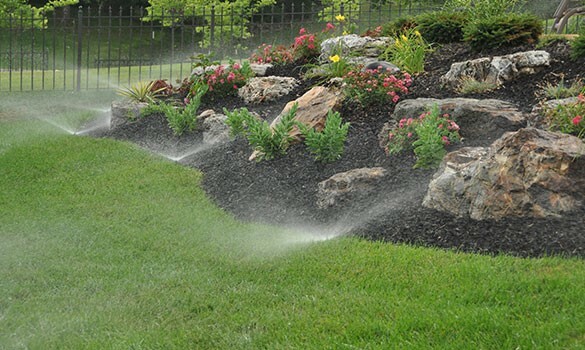 There are many options regarding irrigation in your space from sprinkler and drip systems to grading and effective use of your property’s physical features and all points in between. 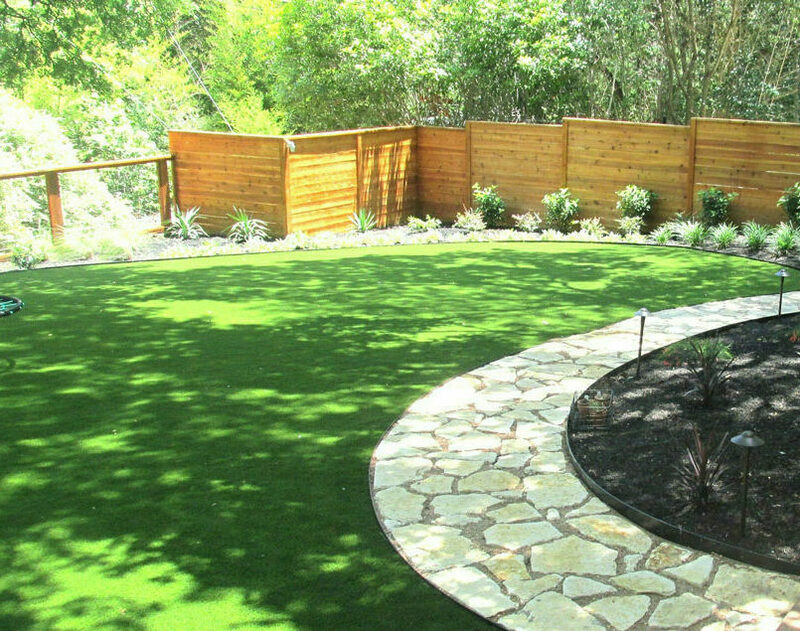 For the best options for your area and the plants inhabiting your new space it pays to speak with a professional who can offset long-term irrigation bills with a modern, efficient irrigation system designed for water conservation. Improved technology has made landscape lighting one of the most popular outdoor living features among homeowners. Nothing makes your new space more inviting than custom lighting designed specifically for your property. 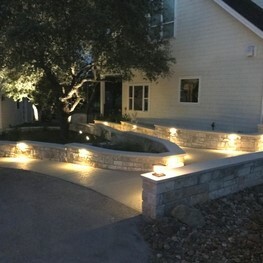 Types of lighting to consider are pathway, accent and security lighting. A good landscape designer will make sure all three of these lighting options are addressed in your space. It’s a good idea to shop until you find someone who will take the time to ask you questions about how you want to use your space, what your design style is, and can consult on how to landscape and irrigate your property. Hiring a professional who sees the grand vision as a whole, will help you design a space that looks good all year, because your landscape is a living work of art that has its own life-cycle. 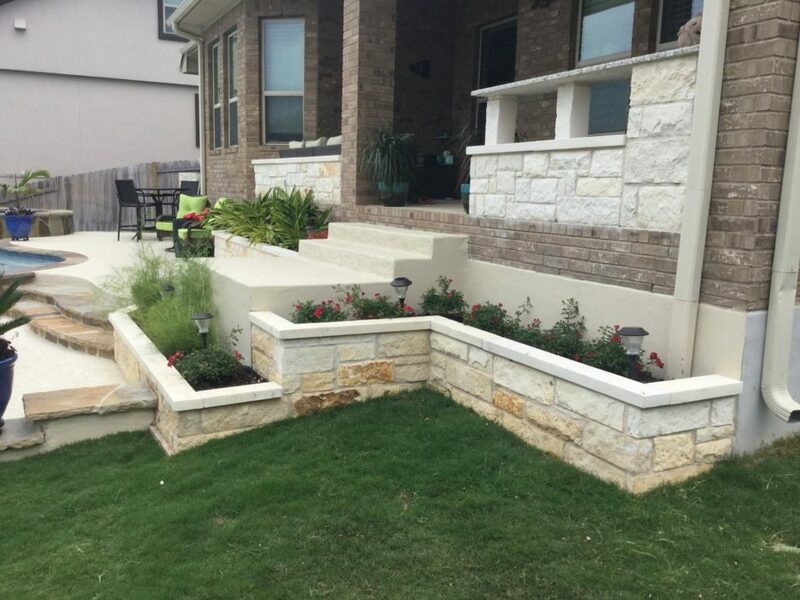 Additionally, you’ll need to hire a team to complete the design – to install plants, irrigation systems, and construct hardscapes. Sounds like a lot of thought and preparation needs to go in to your new space! We encourage you not to start this journey on your own. 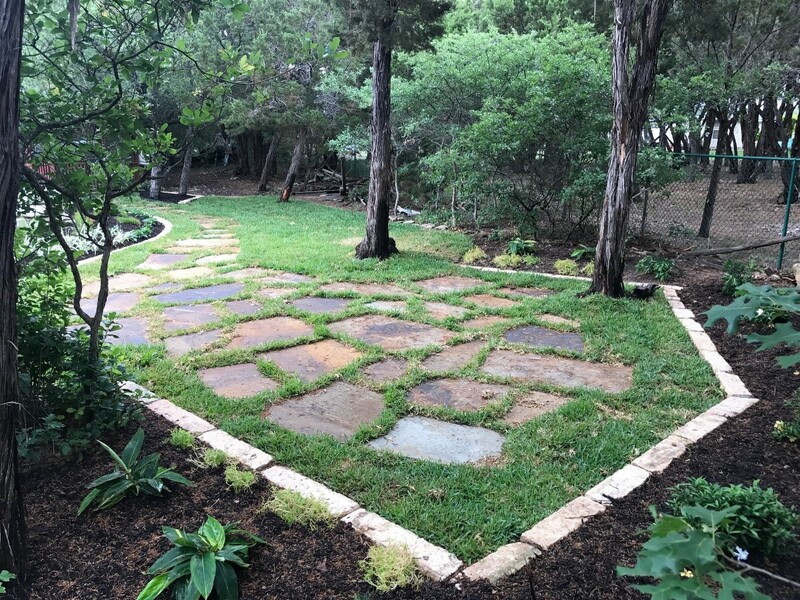 Instead, reach out to Best of Texas Landscapes to get started and stay on the right track to create the perfect space for you and your family. We can help remove all the guess work from how long it will take, to how much it will cost, and how it will look from season to season and year to year. 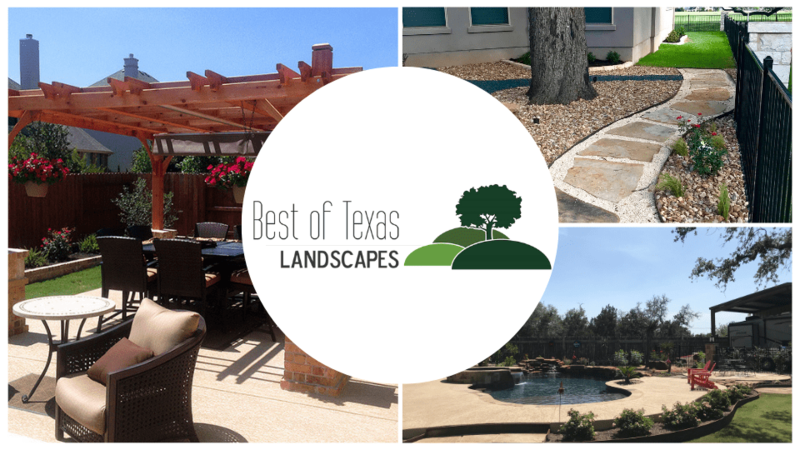 The landscape design-build professionals at Best of Texas Landscapes work as a cohesive unit, combining the knowledge of design and horticulture with the hands-on skill of landscape contractors to complete your project on-time and on-budget. 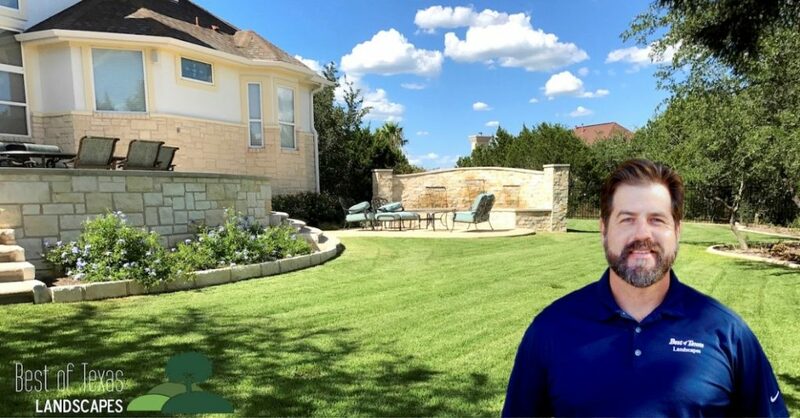 Adding substantial value to your property should the goal of every home owner and when you reach out to Best of Texas Landscapes you’ll be amazed at how easy it can be.